We’re looking for a location manager on the upcoming no-budget web-series Moriarty. 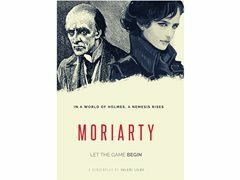 It will be the modernized female Sherlock Holmes version, retold from the greatest archenemy. So far we have two Star Wars actors attached and plan to shoot in London starting April. The new webseries will bring to life the modernized story of Professor James Moriarty - a brilliant old man trying to expose the justice system and its ironic flaws, all the while a brilliant female detective attempts to stop him. Her name is Charlotte Holmes. Both she and him are the oposite sides of the same coin. Two geniuses born in the ashes of wonder, defending their principles and the balance between good and evil within the strangely alienated world of modern society. We need someone who can arrange free locations for the different scenes that we are planning to shoot om April/May.